Shopping for Green Lantern Pop! Vinyl Figures? A Previews Exclusive! Inspired by the urban and stylized character designs of today's designer toys, Funko presents a stylized take on classic comic book characters from the pages of DC Comics with their Pop! Heroes Vinyl Figures! 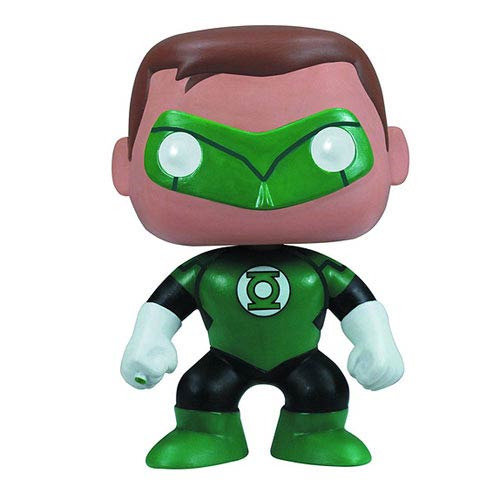 This 3 3/4-inch tall Green Lantern New 52 Previews Exclusive Pop! Vinyl Figure depicts the fan-favorite character in his New 52 costume and features Funko's unique stylized design, rotating head, and articulation. Ages 5 and up.